The Little Penguin: Pororo’s Racing Adventure is a great film for both children and families to watch from Lionsgate and was released on 15th February. 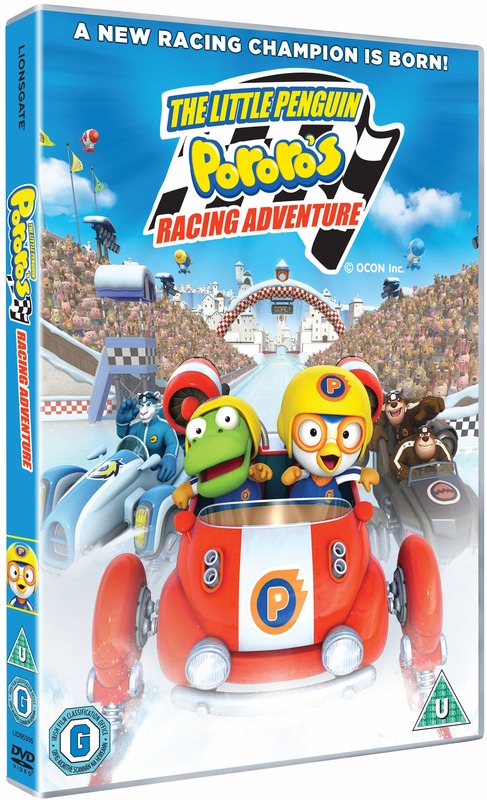 It follows the tale of Pororo and his desire to take part in the Super Sled Championships. His ambition becomes a reality when he bumps into two pilot turtles, Toto and Mango who make an emergency landing in the local village, and Pororo manages to get a lift with his friends to the championships! The adventure continues as gets a super sled of his own and battles amongst the other teams such as the tigers and the brown bears to compete for the title. Along the way Pororo inspires both the commentators and the other animals, making this a cute, fun film that I have to say both my children really enjoyed watching. This entry was posted in Giveaways, Reviews and tagged DVD, film, kids, penguin, pororo by Fiona Martin. Bookmark the permalink. I love watching the skiing,I have only been on one ski holiday myself and that was years ago on a school trip. I always enjoyed watching curling at the Winter Olympics. I love to go ice skating! Angela McDonald recently posted…Limited Edition Vanilla KitKat! I’m not a sports fan but I do find the ski jumping quite thrilling! I like to watch ice skating. Love the luge and Skelton bob quite frightening to watch. I enjoy watching the skiing! I enjoy watching snow boarding. I enjoy watching the skiing. don’t mind a bit of ice skating! Ice skating & the Bob sleighing! I love watching ice skating, it’s mesmerising! I like the skeleton bobsleigh. .. crazy!! My favourite winter sport is rugby. I played when I was young but just enjoy watching it now. I like watching ice skating but can’t do it myself! I love watching curling 🙂 I remember being transfixed the first time I saw it at the Winter Olympics and have loved it ever since! I love watching Skiing, but I love doing it more! I love watching the ice dancing , ever since Torvill and Dean had me hooked .